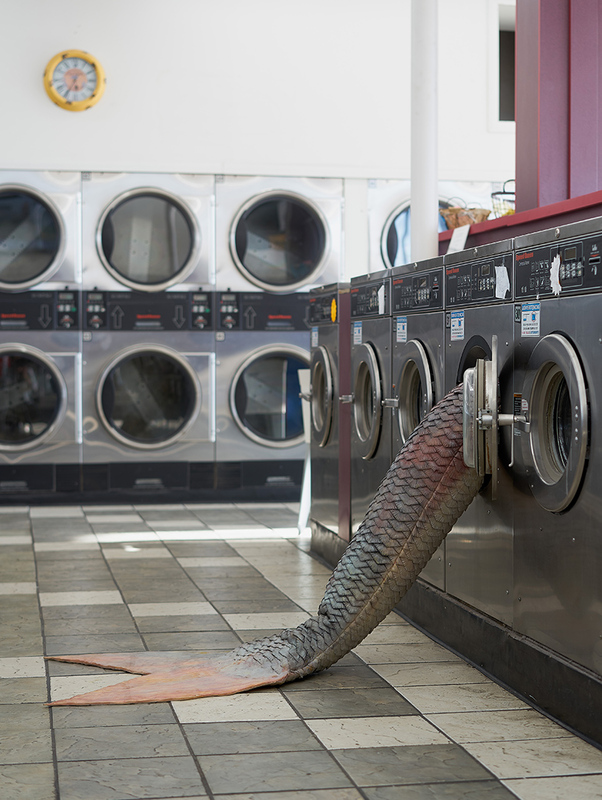 earlier this month, the mundane became magic inside a seemingly ordinary laundromat in los angeles. 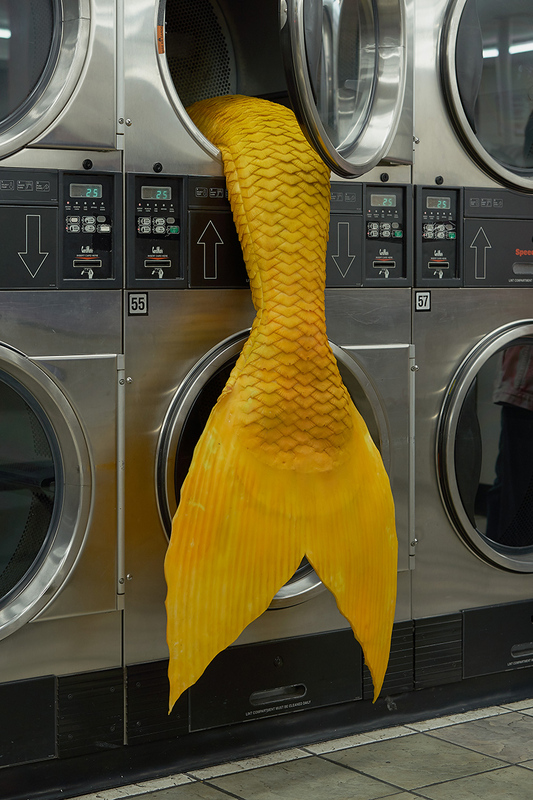 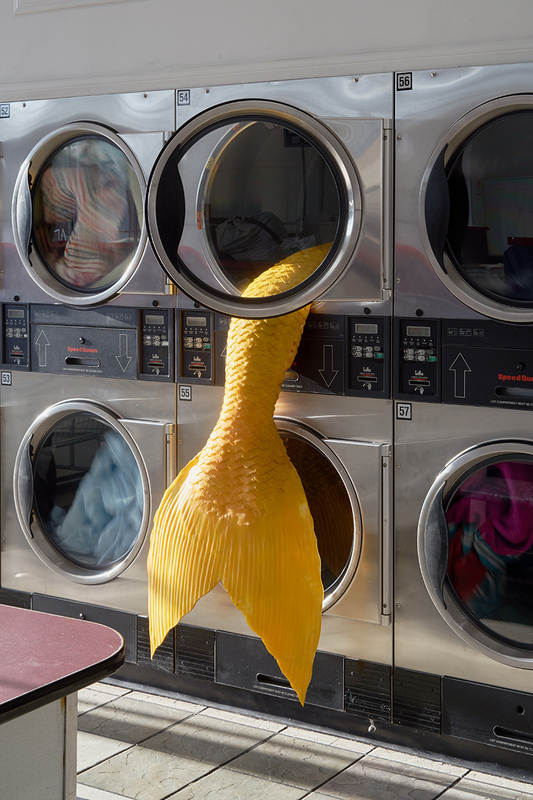 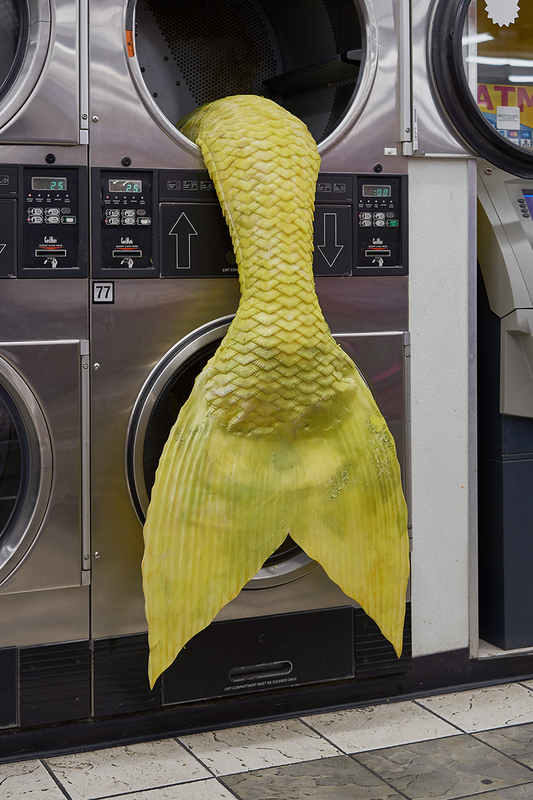 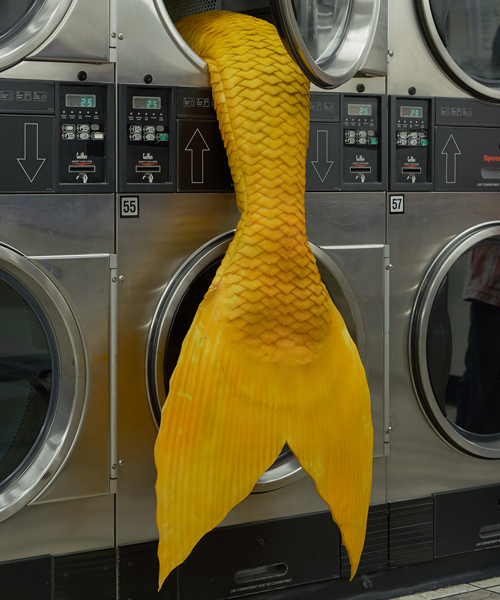 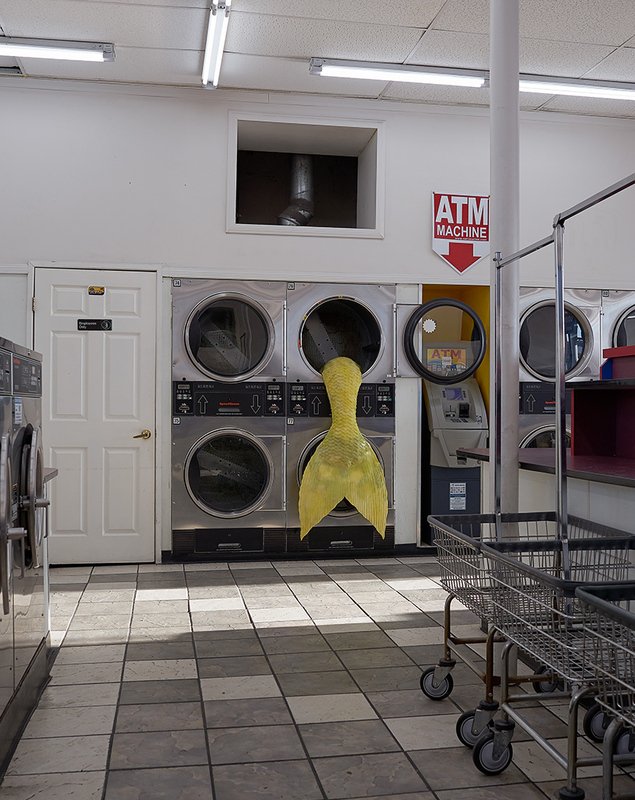 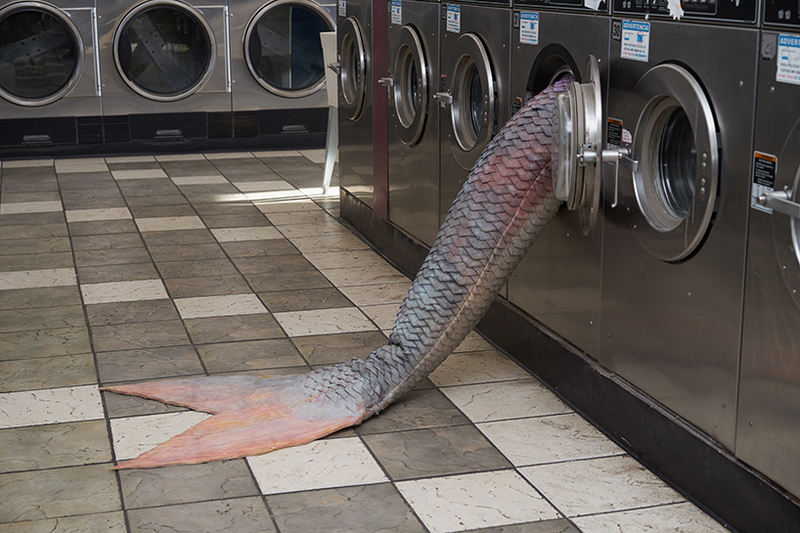 among the tossing towels and whirling wears, laundry-doers and art-enthusiasts alike discovered mermaid tails dangling from a few of the washing machines. 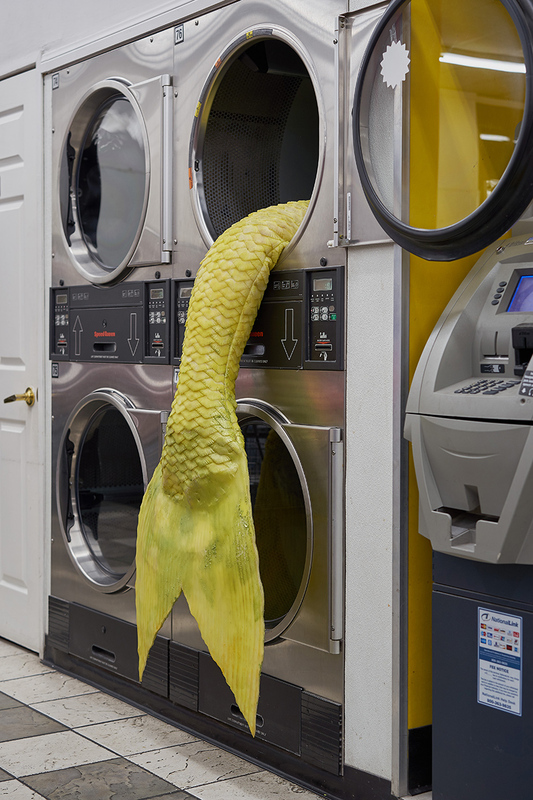 rich gold, yellow and iridescent purple tails surprised and delighted in both their sizable scale and curious context within such a public and typically unremarkable space.